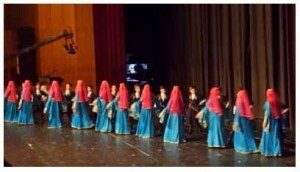 Young students are inspired by a rich culture, touched by a profound heritage and enthused by a dream, came united under Elbrus Circassian Dance Troupe with a message to share with the whole world, a message of peace, love and harmony. 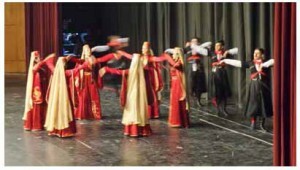 Elbrus Circassian Dance Troupe is one of Prince Hamzeh School’s cultural and artistic activities, all members of the troupe are students of the school between the ages of 6 to 17. The choreographers, costumes and set designers, financial administrative staff were also at some time a student in this school and they returned after graduation to take their share in this pure voluntary work. 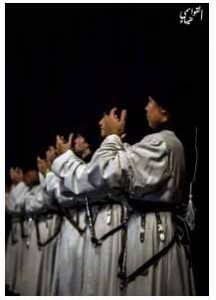 The troupe usually practice two times a week for four hours per day during the first and second semesters and four times weekly during the summer holiday, their splendid and excellent performance springs from their believe: To preserve culture and heritage is to immortalize a nation. 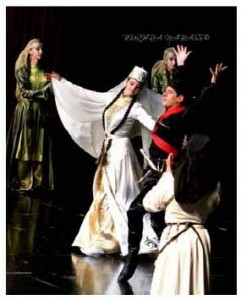 The Troupe had remarkable contributions in many national and international cultural events to tell the story of a torn nation, the story of those who are thousands of miles away from their homeland … Caucases, but still in their hearts they are there. Aberdeen International Youth Festival, AIYF 2014; Aberdeen, Scotland. Aberdeen International Youth Festival, AIYF 2011; Aberdeen, Scotland. Aberdeen International Youth Festival, AIYF 2002; Aberdeen, Scotland. Charity Gala Dinner through Jordan River Foundation in 2002. Versailles Castle Paris, France. EXPO 2000 in Hanover, Germany – This performance was considered a major success factor of the Jordanian pavilion. Youth Camp Festivals in the North Caucasus Republic for seven consecutive years (1988 – 1992). Numerous other performances at local cultural events and festivals that managed to attract the attention of large audiences along with local media and national television.